Today’s post is by guest blogger & music teacher, Gary Stevens. Music has been an easy target for the recent cuts to school budgets. Since the beginning of the Great Recession in 2008, the quality and quantity of music education all over the country has plummeted. The bureaucrats who make these decisions seem to have a very outdated view of education, focusing on math and science and other “proper” subjects, and do not seem to realize the huge advantages that music education has for children. The numbers today are shocking. Recent research has shown that in New York, 85% of students have not received adequate musical education by the time they reach high school, and in California fully 50% of school music programs have been closed since 2009. My aim today is simple – if you are not aware of the benefits that learning music can have for your kid, I’ll explain these. Then, I’ll give you some ideas about how you can take the initiative, and incorporate musical education into your kids’ schooling. Even a quick glance at recent research about music education proves beyond doubt that learning music has huge advantages. A huge study in Germany, one of the biggest pieces of research in this area ever conducted, proves that musical training improves both cognitive and non-cognitive skills by more than twice as much as sports, theater or dance. For many progressive educators, of course, this is not a surprise. Many well respected educative analysts have been saying for years that learning music leads to better attendance, improved academic performance, and ultimately happier children. 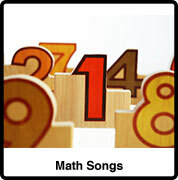 It’s become something of a cliché to point out the deep links between mathematics and music. You probably know a guy or gal who plays an instrument, and is also great at math, but this is also backed up by scientific research. The reasons for this connection have long been argued about, but the current scientific thinking seems to be that both music and math stimulate and develop a particular type of brain activity – spatial-temporal reasoning. The rhythm and discipline involved in playing and learning music appears to be a great way of developing the kind of deep-thinking skills that are so useful in technical disciplines, and so valued in industry. Playing music seems to really improve children’s ability to think through complex problems, and so can rapidly improve their academic performance in technical subjects like math and science. In addition, the research suggests that this effect is even more pronounced for students who come from lower-income families, and so music education has an important role to play in closing the achievement gap. 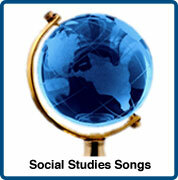 But it’s not only technical subjects that benefit from learning music. Playing an instrument also stimulates and develops the parts of the brain that process and work with language. This is likely because learning an instrument requires a direct connection between sound and thought, and after even a few months of practice significant improvements in working memory and speech comprehension are observed. This is one of the best arguments for incorporating musical education into the very earliest years of schooling, because improved memory and speech means that children learn to read and write much more quickly. 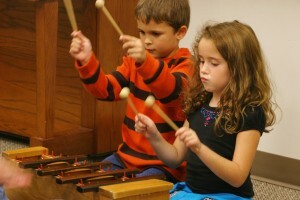 With better short-term memory, an improved ability to concentrate, and being used to make a connection between written signs and sound, kids make more rapid progress with this if they are also learning music. 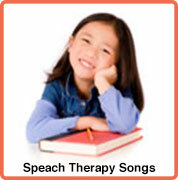 For kids who are learning a second language, the effect is even more pronounced. 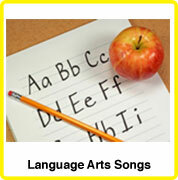 There is a long and well-established connection between language learning and music. This should not really be surprising, of course, since both types of learning involve a keen ear and converting written signs into organized sound. Beyond academic performance, of course, there is another compelling reason for children to learn music – a broad education makes better people. When educating any child, the aim should be not just to get them good grades in school, but also to allow them to develop into a well-rounded individual, and music helps with this. Although this is a more difficult area to research than the improvement in grades caused by a musical education, some statistics are available. Recent research shows that lower-income students who receive a musical education are more civic-minded, more likely to vote, more likely to do volunteer work, get a degree and end up in a professional career. The reasons for this are mysterious, but if you’ve ever learned an instrument you might have a theory about how it works. I know I do – the experience of playing in a band or orchestra is one of the best ways of teaching kids co-operation, compromise, and teamwork. This seems to translate, in later life, to adults who are better-rounded. 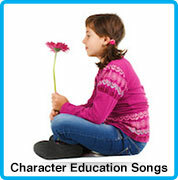 Given the huge cuts in musical education in schools, and given the benefits that learning music can have for your kids, you might want to take the initiative and arrange a musical education for them. There are a few key steps here. The first is choosing an instrument. Whilst it might be tempting to go for a classical instrument, in my experience it is best to choose an instrument that is used in the music your children actually like. If they are into classical music, great, but they are in a minority. They are more likely to want to learn guitar, and letting them choose the same instrument as their musical heroes will ultimately be more fun for them, and keep them engaged. Luckily, however, there is an instrument that has the rigour of a classical instrument, and can also be used in rock and roll – the keyboard. Getting a decent starter keyboard, and of course a keyboard amp, is a great start. 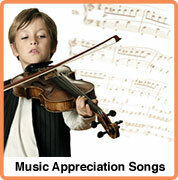 Even if you play an instrument yourself, I also think it best to arrange for a professional teacher for your kid. Trying to teach them yourself tends to lead to arguments, which can quickly sap the enthusiasm and fun that should be part of learning an instrument. There are plenty of sites that can allow you to find a teacher. From there, let your kid explore their own path. Doing this will allow them to keep up their motivation, play for longer, and ultimately allow them to realize all the benefits of learning music. Gary Stevens is a music teacher and avid guitar enthusiast from Ottawa, Canada. On his spare time he runs the blog Best Amps where he helps new musicians find the top amplifiers for their guitars. Previous Previous post: Reflections from Two of a Kind! Next Next post: Don’t Forget the Music! 6 Back to School Tips for Teachers!